Although some believe a self-service laundry business provides passive income, the reverse is more often true. Not only are the steps and tasks required to open a laundromat different from many other small businesses, but many owners also find that ongoing safety, security and liability concerns make active ownership a must. For starters, the right vendor, equipment and utilities setup, insurance and security procedures are vital considerations. Multitudes of options make it vital to shop around before choosing an equipment vendor. In addition to selecting a vendor with whom you feel comfortable, look for one with financing terms that suit your business and who can install and service the equipment you purchase. In addition, ask for client references. When doing a reference check, ask about delivery times, the speed and quality of service calls and any maintenance training the vendor provides. If you need assistance in locating potential vendors, the Coin Laundry Association has both distributor and manufacturer buyer’s guides. According to HK Laundry Equipment, an average size coin-operated laundromat requires about 26 commercial washers and 26 dryers. For washers, front-loading equipment not only is more energy-efficient but also produces cleaner clothes. Consider your target market in deciding how to apportion sizes for washers, which include 20, 30, 40, 60, 80 and 100 pounds. For dryers, the California Energy Commission reports that gas dryers are more energy-efficient, and 30 pounds is the most common size. 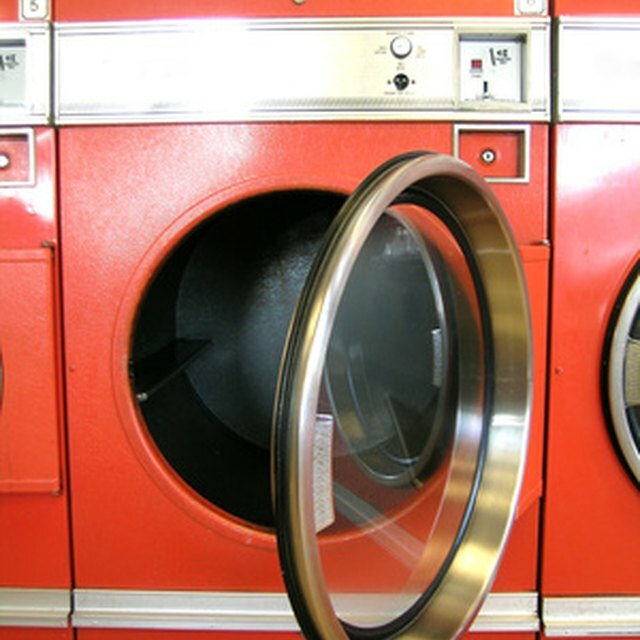 Utilities requirements for an average-size laundromat are a 1.5-inch to 2-inch water line, 2 million BTUs per hour of natural or LP gas, a 4-inch to 6-inch waste line and 200 amps of 208 to 240 volts of electricity. Irving Weber Associates, a specialized insurance provider, says that although fires represent the biggest financial risk, slips and falls are the most common risks. In addition to general liability insurance, you’ll also need coverage that pertains specifically to laundry businesses. For most businesses, this includes property, equipment breakdown and customer goods coverage. If you’re considering whether to staff your facility with full-time attendants, note that that an unattended store poses greater insurance risks. In addition, without an employee witness, claims from slip and fall accidents or theft can be more difficult to defend. Develop policies and procedures that focus on safety and security before the business opens. For example, preventative maintenance procedures such as regularly inspecting lint screens and cleaning out duct work are vital to reducing the chances for dryer fires. Install alarms on coin changers, point video surveillance cameras on the changer, and use signage to inform customers that cameras are present and recording. Train employees on fire safety procedures, such as using fire extinguishers and emergency shut-off switches on laundry equipment correctly. Irving Weber Associates, Inc.: New York Laundromat Insurance: What are Your Client’s Biggest Risks?